The industry association for net providers said legal and technical barriers prohibit them from being anything other than a "mere conduit". And in the US one net supplier has admitted to "degrading" traffic from some file-sharing networks. Net firms have been stung into defining their position by the emergence this week of a draft government consultation document that suggests ISPs should be drafted in to the fight against piracy. It suggested that people who persistently download and share copyrighted material could have their net access removed. A spokesman for the Internet Service Providers Association (ISPA) said the 2002 E-Commerce Regulations defined net firms as "mere conduits" and not responsible for the contents of the traffic flowing across their networks. He added that other laws on surveillance explicitly prohibited ISPs from inspecting the contents of data packets unless forced to do so by a warrant. 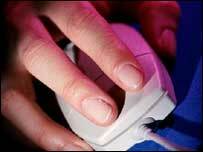 The spokesman said technical issues also made it hard for net firms to take action against specific types of traffic. For instance, he said, while some people use peer-to-peer networks to download copyrighted material many commercial services, such as Napster and the BBC's iPlayer, use file-sharing technology to distribute music and TV legally. In the US, Comcast admitted in documents filed with the Federal Communications Commission that it does "degrade" some traffic from peer-to-peer networks. The spokesman added: "We know that all ISPs are involved in traffic management but that is to optimise the service for all their customers." A spokesman for Virgin Media said its traffic management system came into play during peak times - between 1600 and 2100. Action was taken against any customer whose usage exceeded a limit associated with their tariff during that five hour window, he said. 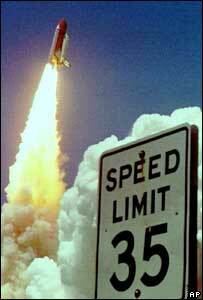 "If you exceed that threshold we will drop your speed for five hours from when the excess is recorded," he said. Andrew Ferguson, an editor at Think Broadband, said net service firms manage their bandwidth in many different ways. Almost all, he said, manage traffic but at certain times impose other systems to smooth out the peaks. "Some firms will happily let you use as much as you like but will charge you accordingly, and business products that are more expensive often allow unlimited use," he said. Others impose charges on customers who regularly exceed their download limits and a few manage their system so users cannot exceed a monthly download cap. The limits that firms impose can also vary widely. "Any ISP that does not do traffic management is not going to stay in business very long," said Gavin Johns, managing director of net management firm Epitiro. He said it was essential to ensure that services which have to be delivered in real time, such as voice and streaming video, were usable. "Different applications use different ports and have different payloads," said Mr Johns, "They look completely different from a network point of view." "If they didn't do traffic management we would all complain," he said. Mr Ferguson from Think Broadband said although traffic management was common, net providers imposed it in contrasting ways. "What varies is the degree it impacts users and the openness of providers in telling users it exists and what is and is not managed," he told the BBC News website. "Traffic management has a poor reputation as in many cases it is used to keep bandwidth costs down for a provider with little respect to the consumers' wishes," he said.